Albert Schweitzer began working in equatorial lowlands of West Africa in 1913. He was astonished to encounter no cases of cancer among the thousands of native patients he saw each year. However, as the natives [took to] living more and more after the manner of the whites, cancer in his patient population became ever more frequent (Taubes, 2016, pp 257). Wise elders, grand parents or statesmen have been traditional roles for aging adults. Wisdom transforming into Alzheimer’s disease does not compute (Peper, 2014). Clinicians and epidemiologist have consistently reported that none western cultures, whether the Masai in Africa, the Inuit in Northern Canada, the Japanese in Japan, or the Native American, had very low incidences of these western diseases. Yet, when these people adapted a western diet of highly refined carbohydrates and sugar the prevalence of these diseases increased and approached the incidence in western cultures (Burkitt & Trowell, 1975; Taubes, 2016). Historically these illness were initially observed in the ruling class. The affluent class was privileged and tended to eat more refined carbohydrates and sugars (white bread, cakes, pastries and sugar in coffee and tea). It is only recently that this class effect is reversed. Lower economic classes tend have a higher prevalence of these western diseases. Affluent people can afford and often eat low processed organic foods while economically disadvantaged people cannot afford low processed foods and instead eat predominantly highly processed carbohydrate and refined foods. Highly refined processed foods and sugar–not fats–are significant risk factors for the development diabetes and cardiovascular disease and mortality (Imamura et al, 2015; Taubes, 2016; Yang et al, 2014) . What is not as well known is that some cancers and Alzheimer’s disease also correlates with the increase intake of refined carbohydrates and sugar (Das, 2015; Kandimalla et al, 2016; Peper, 2014). It is highly likely that the increase in beta-amyloid protein plagues in the brain is not the cause of the Alzheimer’s but the brain’s defense mechanism to protect it from the fluctuating high insulin and glucose levels. A high sugar and simple carbohydrate diet are risk factors for inflammatory diseases such as diabetes, heart disease and metabolic syndrome. These inflammatory diseases are recognized as a precursor for Alzheimer’s. Alzheimer’s is sometimes described as Type 3 diabetes (Kandimalla et al, 2016; Steen et al, 2005). Taking the perspective that foods are significant risk factors for the development of these western diseases, the focus should be on prevention and less on treatment. The research to develop drugs to treat Alzheimer’s have up till now been unsuccessful despite that the billions spent on attempting to develop new drugs. For example, the pharmaceutical company Eli Lilly has spent 3.7 billion dollars over the last decade while the National Institutes of Health spends more than half a billion dollars a year on pursuit of treatment (Coghlan, 2017). The treatments cost of these western diseases, which at best ameliorate the disorders, is overwhelming. In the USA, we spent $147 billion to treat obesity and $116 billion to treat diabetes. While the medical costs to treat diabetes for a single patient is about $6000/year or $400,000/lifetime (Pollan, 2009). Educate the public about the harm of sugars and refined carbohydrate foods. Ban advertising of foods that are high in sugar and refined carbohydrates. Reward companies to produce foods low in sugar and refined carbohydrates. Tax food products high in sugar and refined carbohydrates just as tobacco has been taxed. I am positive that in the future when we look back at the 20th and early 21st century, we will be appalled that the government allowed people to poison themselves with sugar and highly refined carbohydrates. Just as we now warn against the harm of tobacco, limit the sales to minors, and have ongoing public health stop smoking campaigns. For much more information, read science writer Gary Taubes superb well researched and engaging book, The case against sugar. Burkitt, D.P. & Trowell, H.C. (1975). Refined carbohydrate foods and disease: Some implications of dietary fibre. York: Academic Press. Cleave, T.L., Campbell, G.D., & Painter, N.S. (1969). Diabetes, coronary thrombosis and the saccharine disease, 2nd ed. Bristol, UK: John Wright. Coghlan, A. 2017). The Alzheimer’s problem. New Scientist, 233(3110), 22-23. Das, U. N. (2015). Sucrose, fructose, glucose, and their link to metabolic syndrome and cancer. Nutrition, 31(1), 249-257. Imamura, F., O’Connor, L., Ye, Z., Mursu, J., Hayashino, Y., Bhupathiraju, S. N., & Forouhi, N. G. (2015). Consumption of sugar sweetened beverages, artificially sweetened beverages, and fruit juice and incidence of type 2 diabetes: systematic review, meta-analysis, and estimation of population attributable fraction. Bmj, 351, h3576. Kandimalla, R., Thirumala, V., & Reddy, P. H. (2016). Is Alzheimer’s disease a Type 3 Diabetes? A critical appraisal. Biochimica et Biophysica Acta (BBA)-Molecular Basis of Disease. Peper, E. (2014). Affluenza: Transforming Wisdom into Alzheimer’s Disease with Affluent Malnutrition and Immobility. Neuroconnections, 9(2), 32-35. Pollan, M. (2009). Big food vs. big insurance. New York Times, September 10, A29. Taubes, G. (2016). The case against sugar. New York: Alfred A. Knopf. Born on 26 November 1911, Mr Robert Marchand and 105 years old, managed cycling 22.55 km (14 miles) at the national velodrome and set a new record for the furthest distance cycled in one hour for riders over 105. (Reynolds, 2017). As people age there is an increase in Western Diseases such as hypertension, diabetes, gout, cancer, dementia and decreases in physical fitness (Milanović et al, 2013; Tauber, 2016). To assume that the cause of these illnesses is the natural process of aging may be too simplistic. Although aging does affect physiology, there are other factors that contribute to the increase in “Western Diseases” such as diet, lifestyle and genetics. A significant contributing factor of Western Diseases is diet especially the increase in sugar and simple carbohydrates. Whether you are Pima, Tohono O’odham, and Navajo American Indian Tribes in Arizona, Intuits in Northern Canada, Japanese Americans, or indigenous populations of Kenya, when these people stopped eating their traditional diet and adapted the western high glucose/fructose/simple carbohydrate diet, the degenerative Western Diseases exploded (Bjerregaard et al, 2004; Burkitt & Trowell, 1975; Knowler et al, 1990; Tauber, 2016). Diabetes, hypertension, and cancer which were previously rare skyrocketed within one generation after adapting the Western life style diet. In some of these populations, 30% or more of the adults have diabetes and a significant increase in breast cancer. The reduction of episodic high intensity physical activity and being sedentary are additional risk factors for the onset of diabetes and cardiovascular disease (Dulloo et al, 2017). As Mensing & Mekel (2015) state, “Sitting is the new smoking.” Sitting encourages more sitting which leads to nonuse of muscles and causes neural and muscle atrophy. Our physiology is efficient and will prune/eliminate what is redundant. 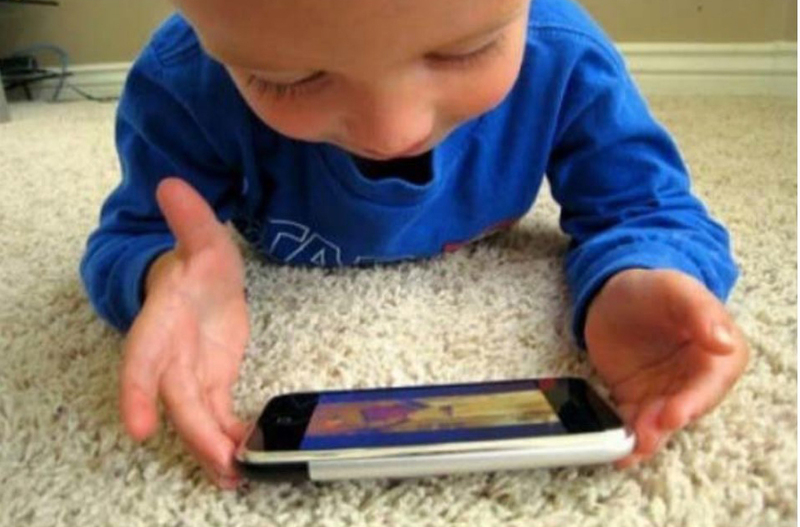 This is reflected in the popular phrase, “Use it or lose it.” As we sit for hours in front of digital devices, use escalators, elevators, or drive cars, we are not using the muscles involved in dynamic movement. We are usually unaware of this degenerative process. Instead, we may experience difficulty walking up the stairs which encourages us to take the escalator or elevator. When we do not use the muscles or are limited in movement by discomfort and pain, we move less. As we move less, we become weaker which is often labeled as aging instead of non use. Just, because most people loose fitness, it may not represent what is possible or optimum. Instead, we may want to emulate the diet and fitness program of Mr. Robert Marchand who at age 103 set a new world record and improved the distance bicycled in one hour from 24.25 km at the age of 101 to 26.92 km at the age of 103. A 11% improvement! As New York Times science writer Gretchen Reynolds reports, “Lifestyle may also matter. Mr. Marchand is “very optimistic and sociable,” The researcher who did the study, Dr. Billat says, “with many friends,” and numerous studies suggest that strong social ties are linked to a longer life. His diet is also simple, focusing on yogurt, soup, cheese, chicken and a glass of red wine at dinner (Reynolds, 2017). The improvement in bicycling performance and physiological indicators such as ⩒O2max increased (31 to 35 ml.kg-1min-1; +13%), appeared to be due to a change in his training regimen (Billat et al 2016). At age 101 he changed his bicycling training program from riding at a steady speed for one hour to riding 80% at an easy pace and 20% at high intensity. This is a type of interval training and includes enough recovery allows the body the recover and strengthen. This analogous to our evolutionary movement pattern of walking interspersed with short distance high intensity running. As a hunter and gather we often moved steadily and then had to run very fast to escape a predator or catch an animal. After extreme exertion, we would rest and regenerate (if we did not escape we would be lunch for the predator). Thus episodic high intensity activity with significant rest/regenerative periods is the movement pattern that allowed our species to survive and thrive. Research studies have confirmed that high intensity interval training offers more physiological benefits–increases cardiorespiratory fitness which is a strong determinant of morbidity and mortality– than moderate intensity continuous training (Weston et al, 2014). Thus when Mr. Marchard changed his exercise pattern from moderate intensity continuous training to high intensity interval training with enough recovery time he set a new world record at age 103. Two years later he set a new world record at age 105. Exercise improves brain function and interval training appears to improve brain function most. When rats had prolonged exercise, the brain’s stores of energy is significantly lowered in the frontal cortex and hippocampus all areas which area involved in thinking and memory. If on the other hand, the animals had a single intense bout of exercise and were allowed to rest and feed than the brain levels of glycogen was 60% high in the frontal and hippocampus areas. This suggest that the brain can then function better (Matsui et al, 2012). This perspective is supported by the evolutionary hypothesis discussed by Neuroscientist Daniel Wolpert who points out that brains evolved, not to think or feel, but to direct movement. When movement is no longer needed the brain shrinks and gets reabsorbed which is illustrated by the sea squirt. This animal swims as a juvenile and then anchors on a rock and is passively moved by the currents. Once anchored, it no longer needed to coordinate movement and reabsorb its own nervous system. See Daniel Wolpert’s remarkable TED talk, The real reasons for brains. The remarkable feat of Mr. Marchand offers suggestions for our own health. Enjoy healthy movement and exercise and incorporate our evolutionary movement patterns: episodic high intensity followed by regeneration. At the same time include a healthy diet by reducing sugars and simple carbohydrates. Finally, it helps to have the right genes. Burkitt, D.P. & Trowell, H.C. eds. (1975). Refined carbohydrate foods and disease: Some implications of dietary fibre. New York: Academic Press. Dulloo, A. G., Miles‐Chan, J. L., & Montani, J. P. (2017). Nutrition, movement and sleep behaviours: their interactions in pathways to obesity and cardiometabolic diseases. Obesity Reviews, 18(S1), 3-6. Knowler, W. C., Pettitt, D. J., Saad, M. F., & Bennett, P. H. (1990). Diabetes mellitus in the Pima Indians: incidence, risk factors and pathogenesis. Diabetes/metabolism reviews, 6(1), 1-27. Matsui, T., Ishikawa, T., Ito, H., Okamoto, M., Inoue, K., Lee, M. C., … & Soya, H. (2012). Brain glycogen supercompensation following exhaustive exercise. The Journal of physiology, 590(3), 607-616. Mensing, M., & Mekel, O. C. L. (2015). Sitting is the new smoking-Modelling physical activity interventions in North Rhine-Westphalia. The European Journal of Public Health, 25(suppl 3), ckv171-037. Milanović, Z., Pantelić, S., Trajković, N., Sporiš, G., Kostić, R., & James, N. (2013). Age-related decrease in physical activity and functional fitness among elderly men and women. Clinical interventions in aging, 8, 549-556. Concered about food and health? If you are concerned about food and health, watch Michael Pollan’s presentation, How Cooking Can Change Your Life. It is pragmatic and full of wisdom. Cut out the sugar-it is toxic! Putting it simply: Too much sugar in our diet is harmful and when we return to our paleolithic diet, health tends to improve. Sugar intake in all different forms is the single most important ingredient that contributes to diabetes. 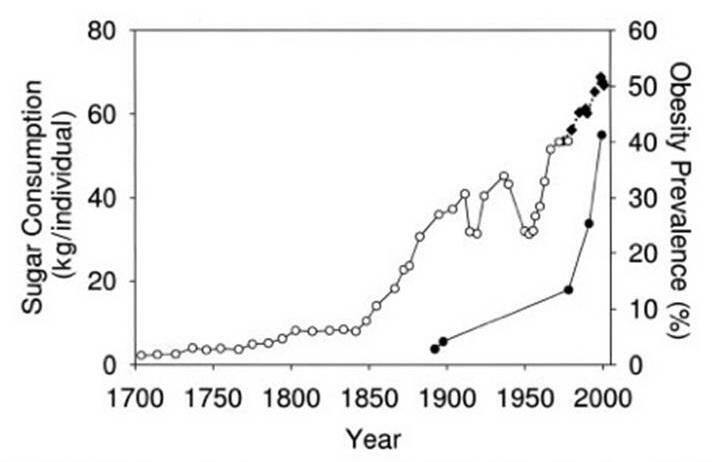 In the last one hundred years our sugar intake has radically increased as is shown in figure 1. 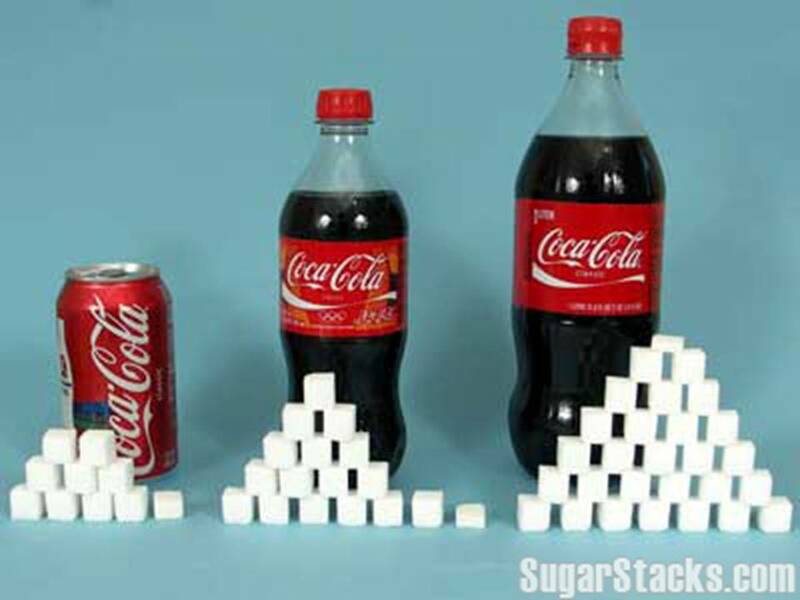 Soft drinks and soft drinks contain often eight or more table spoons of sugar per drink as shown in Figure 2. The sugar/highly processed foods battle will be similar to the battle the smoking lobby fought for the last 30 years. 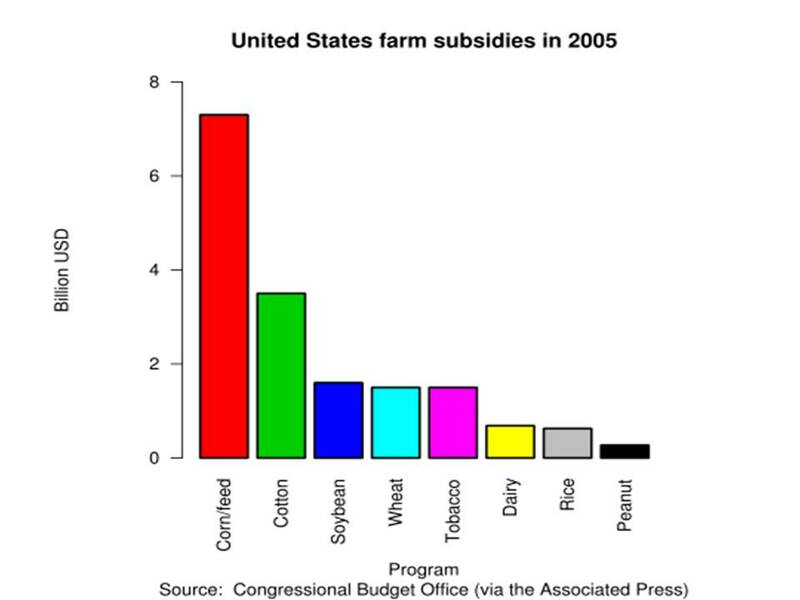 Just like tobacco subsidies, farmers receive subsidies to grow corn to make more low cost high fructose corn syrup. As recent as 2005 tobacco farmers were still receiving a billion and a half dollars in subsidy while farmers growing corn received more than seven billion dollars in subsidies as shown in Figure 3. At the same time pharmaceutical companies continue to reap a financial bonanza from the sugar diet induced illnesses. 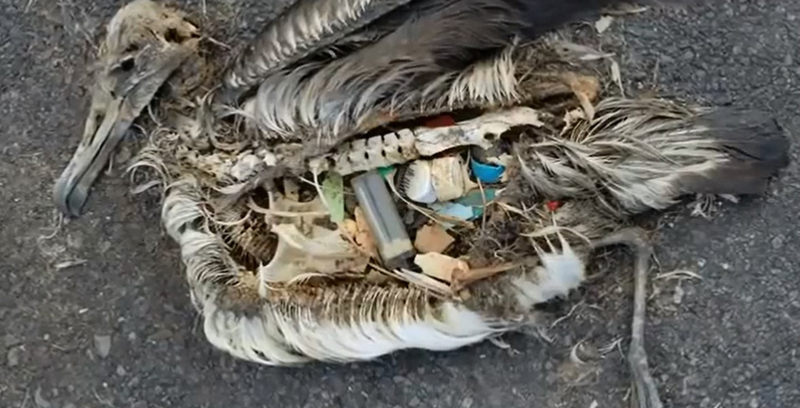 They will create more and more drugs to attempt to reduce the illnesses and symptoms. 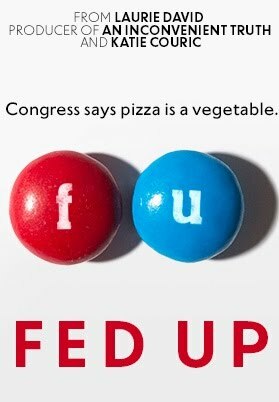 We cannot expect the US government to promote our health as the lobbying power by agribusiness is overwhelming. We cannot expect published information, whether on the web or in print, to be accurate as advertising dollars significantly affect editorial decisions. We can start eating differently ourselves and with our families and friends. Begin now. Do an experiment by eating a predominantly Paleolithic diet. For the next two weeks, eat only foods that are real foods which your great grandparents recognized as food. Thus nothing out of box or can. Nothing that has been processed or prepared! Buy only foods in their natural form. Shop at farmers’ markets or only at the periphery of the supermarket: vegetables and fruits, the meat and fish counters. After eating this diet for two weeks, check how you feel. Many people report having more energy, feeling less tired and irritability, and some experience a reduction in arthritic pains, inflammation, headaches and even anxiety. For dietary suggestions see the common sense recommendations in Michael Pollan’s book, In Defense of Food: An Eater’s Manifesto.